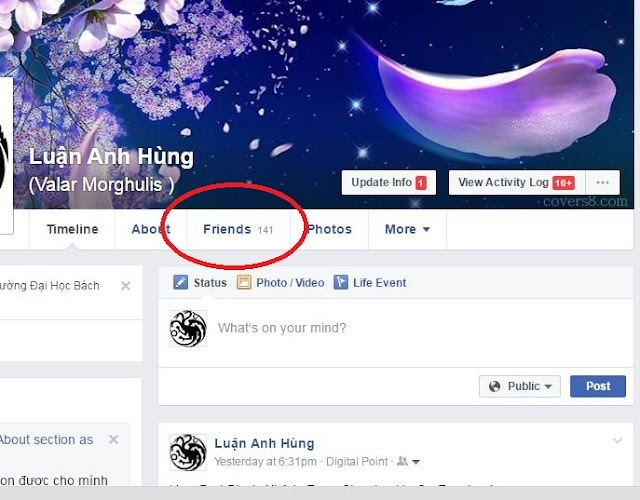 What is Facebook Friend List? Friends List is where you can find all your friends. You can know who you are most connect to on Facebook. You can unfollow or unfriend who you don't know. Also, you can know any new friends recently added, live in the same city, hometown, the same university. How to go to Friends List? First, you have to login Facebook. After that, go to your Timeline. Choose Friends button. By default, anyone can see you friends. If you don't want people see your friends, you can hide your friend list.